We are on the move as I had known deep down. You are sending you fear to me and you must let go of this. Those around me do it and I cannot allow these energys to affect me can you see this. I have been busy enjoying the day as No one knows what will happen as the day progresses or what tomorrow holds. I asked my husband to do a simple thing and he said why! we dont know what we are doing yet. He does not grasp this one fact! We are moving end of story weather he likes it or knows where we are going is immaterial. It just is. I look outside and the sky is the brightest blue the sun is glowing in all its beauty and the butterflys are and bees are doing what they do best just being. No matter what is happening you have to take time and just be in the moment and see the beauty around. Within a situation there are and always have been two ways to go. First is fear, anger, depression, why me, what did I do wrong. Then there is the second. Excitment, adventure, joy, laughter, the element of surprise. Yes at times it could feel like you are about to step of a cliff into the raging waters below but imagine the feeling of successfully diving deep into the waters and as you break the surface again, your heart beating fast, with a huge smile on your face because you did it. The laughter you hear you realise is coming from you, wild free full of joy like you have never experienced before. That is where I am and I ride the waves happy singing my heart out because that is why I am here. 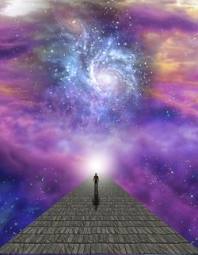 To experience life as an awakened being. Waiting for the rest of those around me to get it is energy I am no longer willing to give because this is my path no one elses and my path is paved with such divine beauty that even words cannot do it justice. So I say to you all just take a minute to see where your path is leading and if our paths should join what a party we shall have.